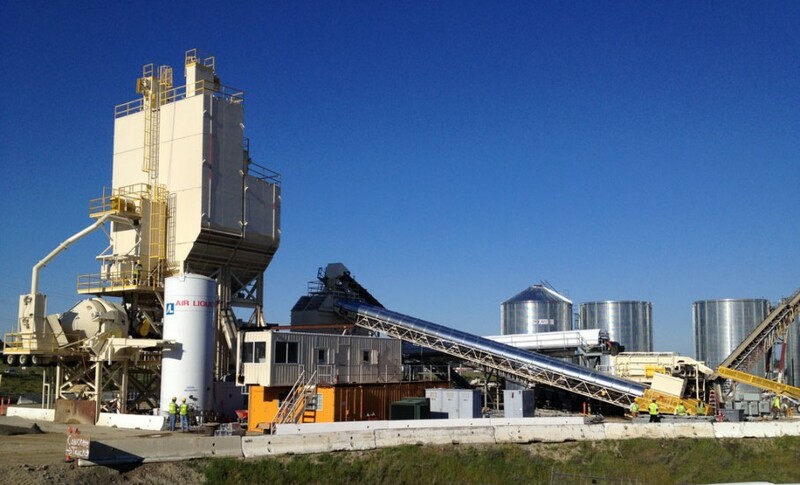 Coldcrete has successfully implemented and completed concrete cooling and heating projects around the world. Here are some of our featured projects. 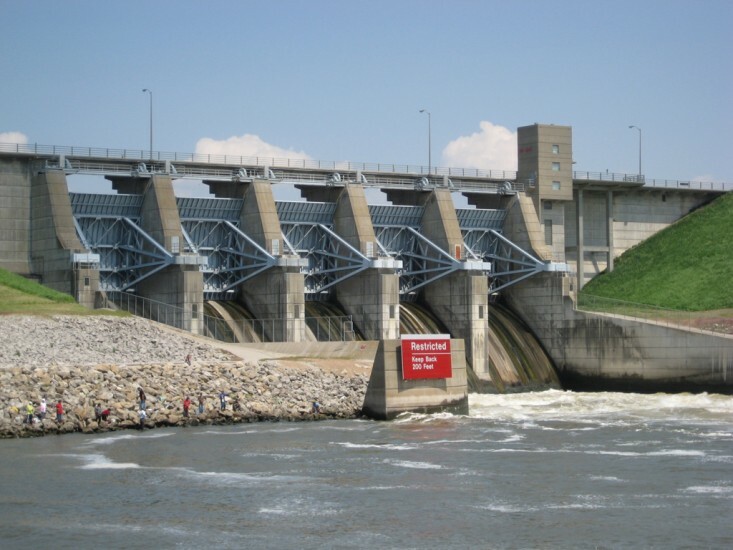 Ames Construction is retrofitting the existing U.S. Army Corps of Engineers Red Rock Dam on the Des Moines Riveran existing dam for hydroelectric power. 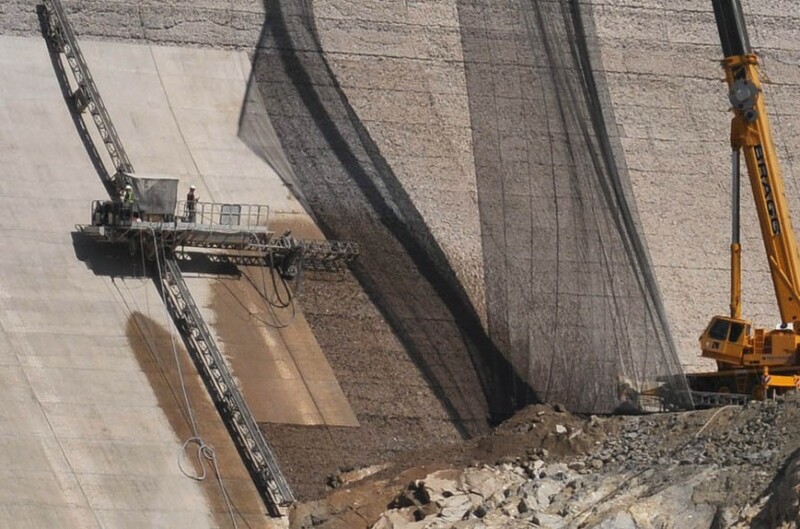 The Red Rock Hydroelectic Project is licensed by the Federal Energy Regulatory Commission and will have a rated generating capacity of 36.4 MW at normal reservoir level. 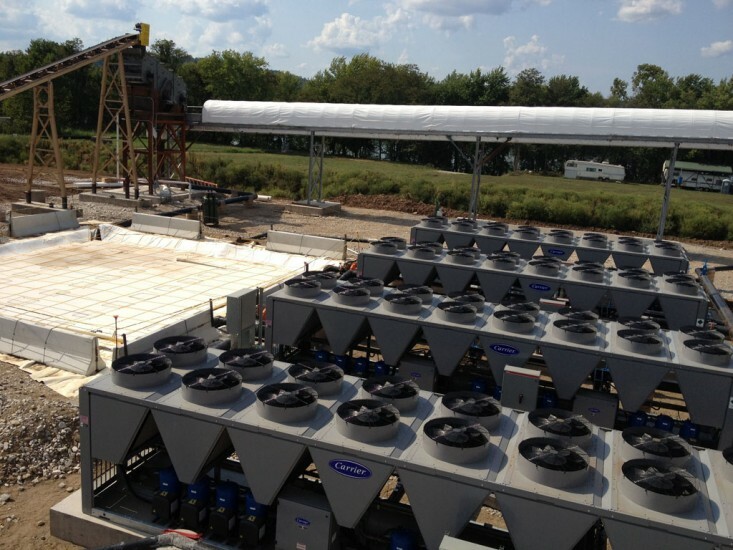 The combined maximum generating capacity will be 55 MW at higher reservoir levels and/or flows. The estimated annual energy produced by the project will be 178,000 Wh, or enough to power approximately 18,000 homes. 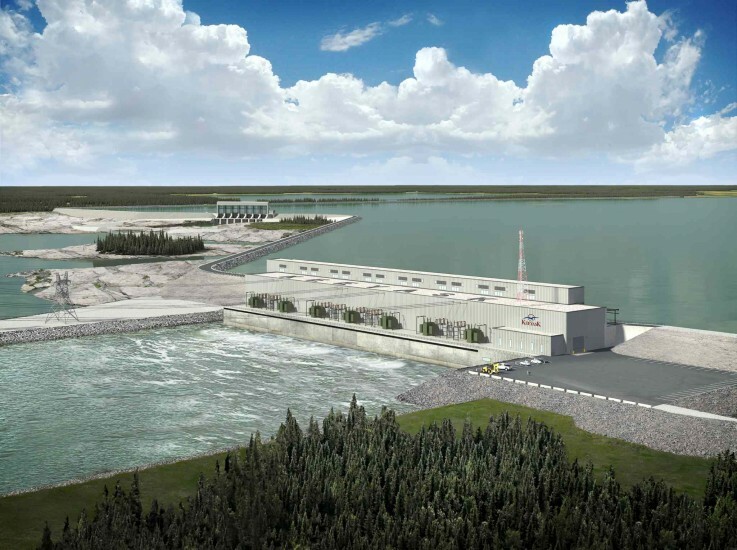 A $1.4 billion general civil contract has been awarded to a limited partnership between Bechtel Canada Co., Barnard Construction of Canada Ltd. and EllisDon Civil Ltd. for construction of the proposed 695-megawatt Keeyask generating station. Manitoba is growing and so is the demand for electricity. New sources of electricity are needed to maintain the reliable supply Manitoba Hydro customers count on. The Keeyask Generating Station will fill this need. When completed in 2021, it will add approximately 4,400 gigawatt-hours of renewable electricity per year to Manitoba Hydro's total supply. That's enough electricity to power 400,000 homes. Developer: Kiewit Infrastructure West Co. The award marks the beginning of the fourth and final construction phase of the spillway project, an approximately $900-million cooperative effort between the U.S. Bureau of Reclamation, Central Valley Flood Protection Board, Sacramento Area Flood Control Agency and the Corps to help reduce the Sacramento region’s flood risk. The spillway will allow the Bureau of Reclamation to make more controlled water releases from Folsom Dam earlier during large storms. 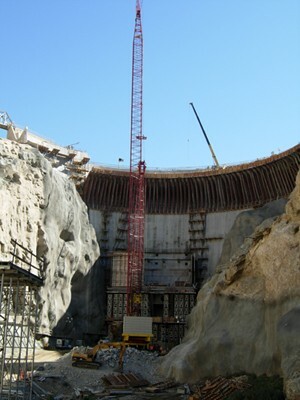 The Bureau of Reclamation completed most of the excavation for the spillway chute in the project’s first two phases. 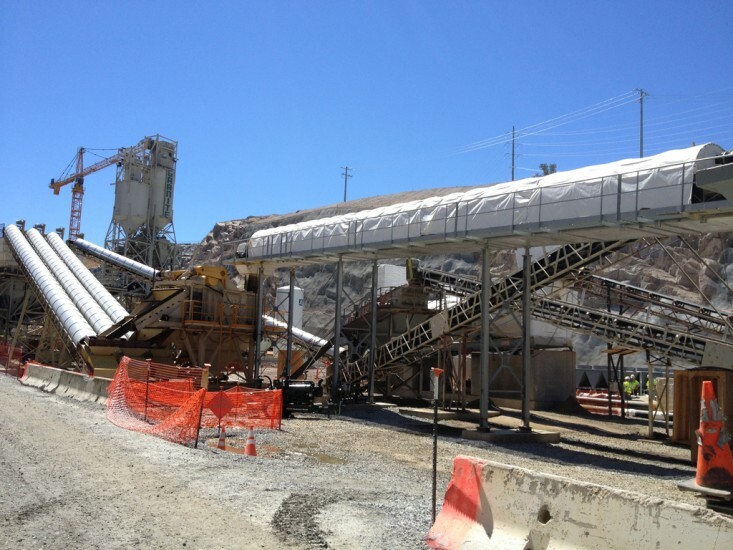 In May 2012, Granite Construction Company of Watsonville began construction on the project’s third phase: the spillway’s control structure, essentially a second dam. 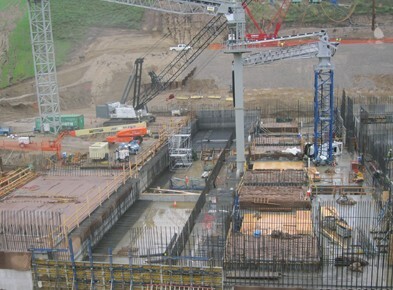 In phase four, the Corps will oversee Kiewit’s construction of a 3,027-feet-long spillway chute and stilling basin, as well as the 1,100-feet-long approach channel that connects the new spillway to the reservoir. 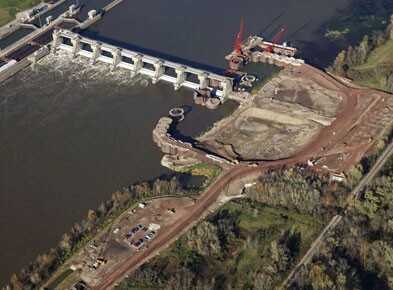 The Willow Island project will divert water from the existing Corps Willow Island Locks and Dam through bulb turbines to generate an average annual output of approximately 239 million kilowatt-hours (kWh). The site will include an intake approach channel, a reinforced concrete powerhouse and a tailrace channel. 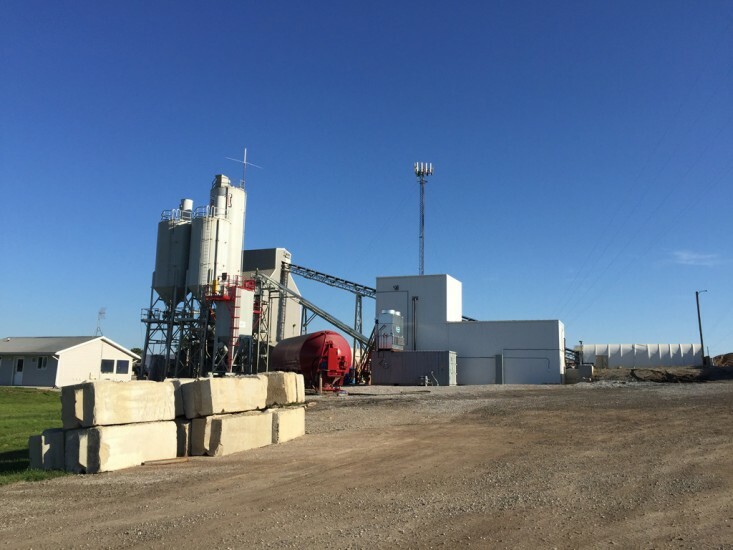 The powerhouse will house two horizontal FERC rated 17.5 MW bulb type turbine and generating units with an estimated total FERC rated capacity of 35 MW at a gross head of 20 feet. A 1.6-mile-long 138 kV transmission line interconnection is planned to connect to PJM. 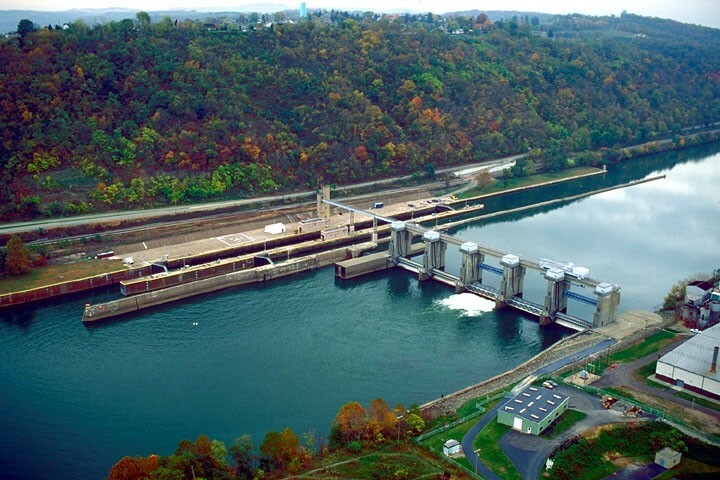 The Willow Island Locks and Dam are located in Pleasant County, West Virginia, approximately 162 river miles downstream of Point Bridge, Pittsburgh. 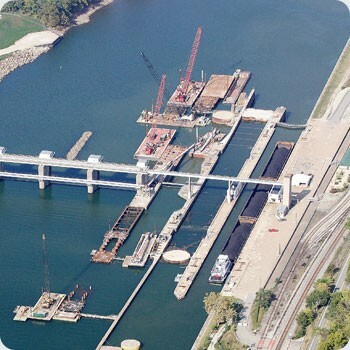 The Willow Island project is under construction on the West Virginia side of the Ohio River, on the opposite shore of the locks. 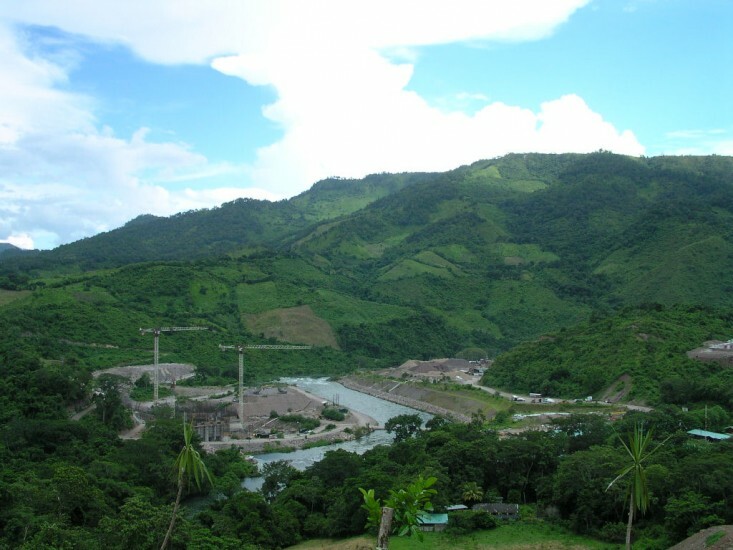 The La Vegona hydropower project comprises a 38.5 MW run-of-the-river hydroelectric development on the Humuya or Comayagua River, 8 kilometers downstream from the existing 300MW Francisco Morazan (“El Cajon”) hydroelectric project. 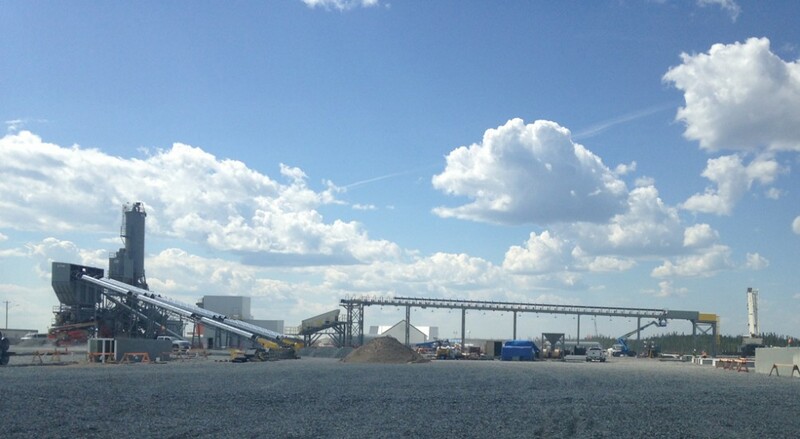 The Project is expected to produce an average of approximately 172 GWh per annum. The Project will sell electricity to industrial clients as well as the state-owned utility ENEE under long-term power purchase agreements (“PPA”). 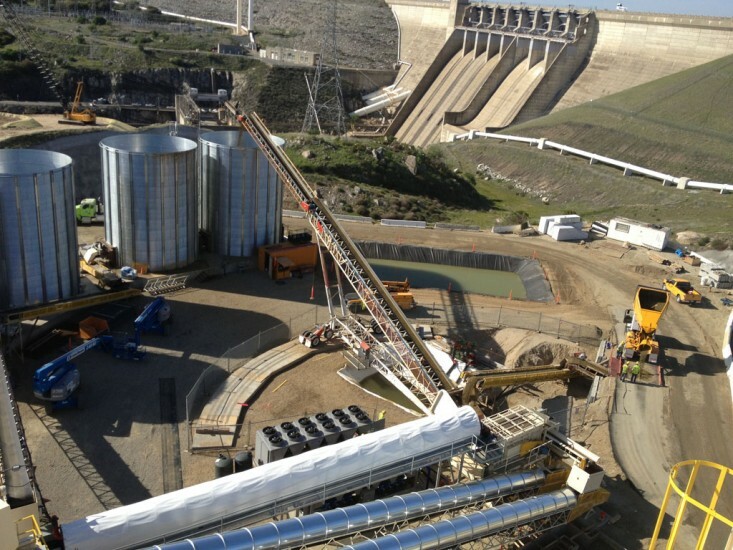 The auxiliary spillway is being built to address the hydrologic risk to Folsom Dam identified by BuRec's Safety of Dams program. The work is a Joint Federal Project by BuRec, the Corps, California Department of Water Resources, and Sacramento Area Flood Control Agency. 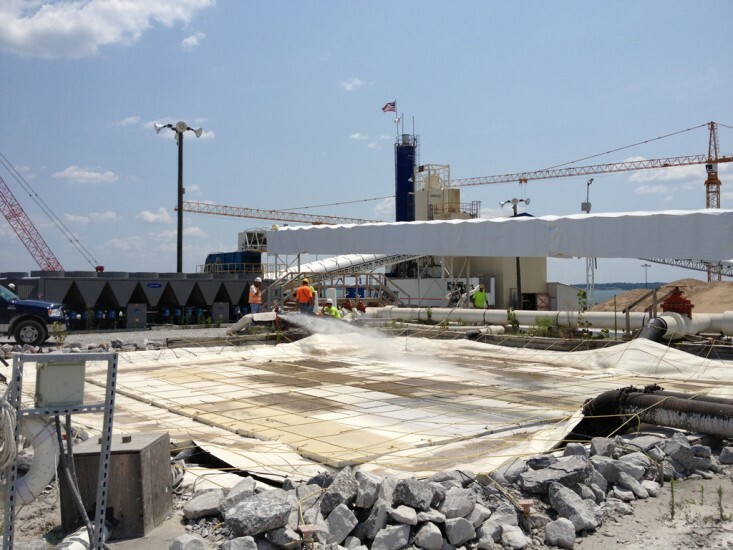 The control structure includes foundation excavation and preparation, submerged tainter gate fabrication and installation and mass concrete placement. The structure includes two 89-foot-wide independent flow-through monoliths flanked by three non-flow-through monoliths. 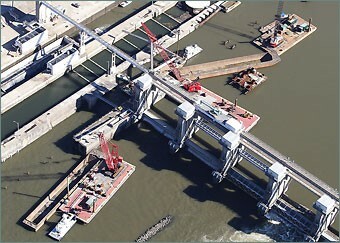 Each flow-through monolith is to house three submerged tainter gates, 23 feet wide by 34 feet tall. 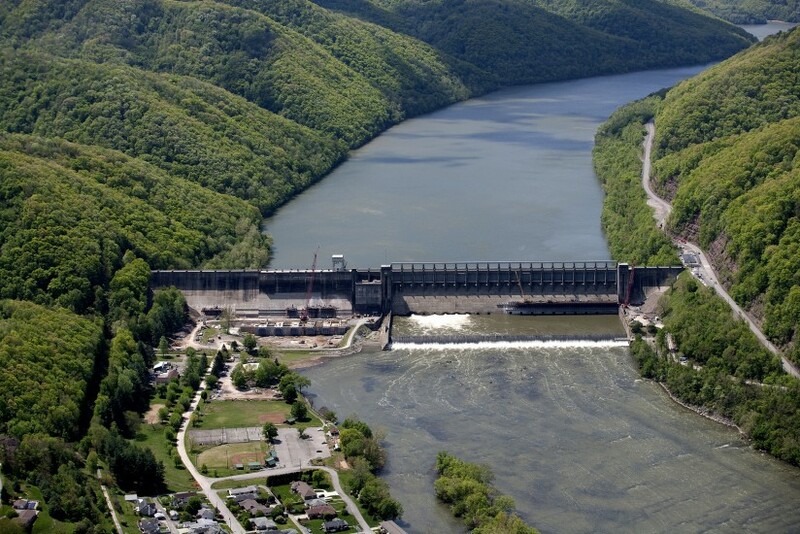 The Dam Safety Assurance Program provides for modification of US Army Corps dams that are potential safety hazards in light of present-day engineering standards. 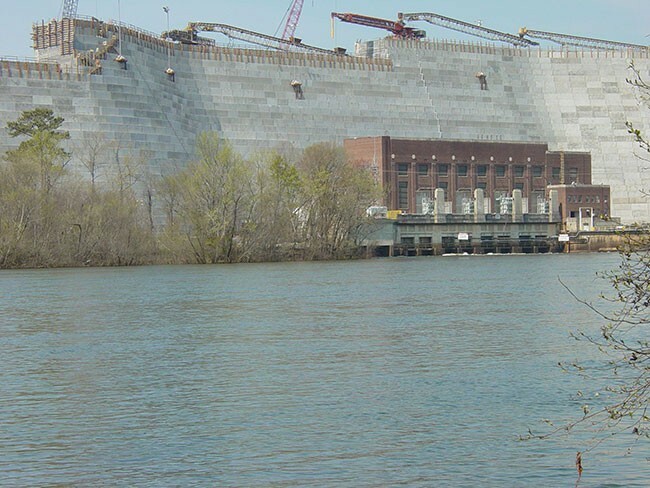 Based on current hydrologic and structural criteria, the potential exists for initiation of failure of Bluestone Dam at a water elevation below the existing top of the dam. A downstream hazard assessment indicates there is sufficient justification to modify the project to accommodate 100 percent of the probable maximum flood. 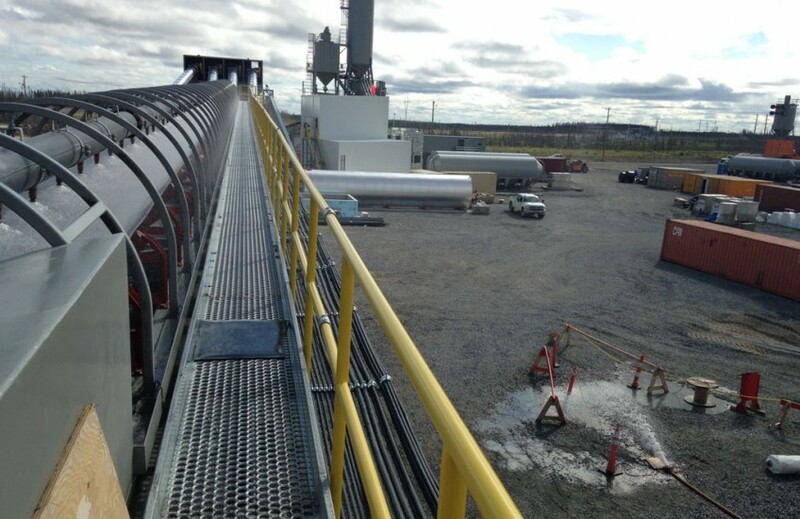 Phase 3 includes installation of scour protection and training walls for the penstocks. 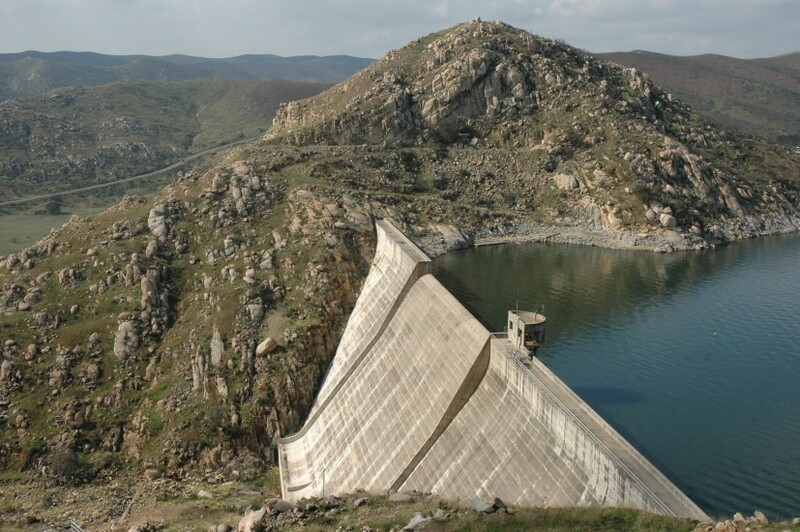 The San Vicente Dam Raise is part of the Emergency Storage Project, a system of reservoirs, interconnected pipelines, and pumping stations designed to make water available to the San Diego region in the event of an interruption in imported water deliveries.San Vicente Dam currently stands at 220 feet and can store up 90,000 acre-feet of water. 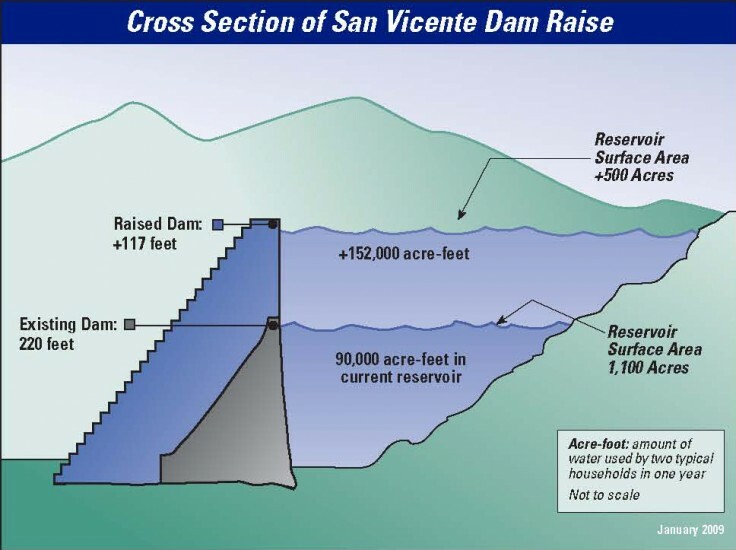 The dam raise project will increase the height of the dam by 117 feet - the tallest dam raise in the United States and the tallest of its type in the world. 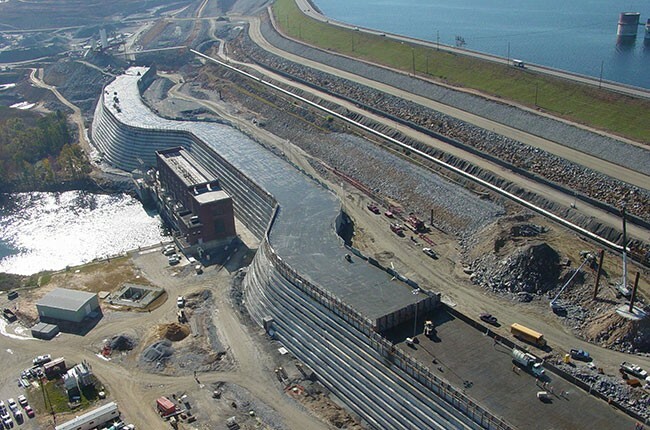 The raised dam will store an additional 152,000 acre-feet of water, more than doubling the capacity of the reservoir. 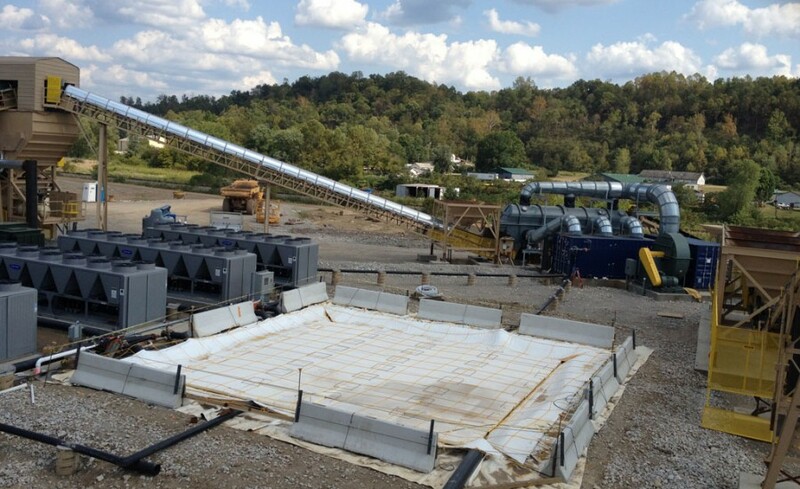 The Cannelton Project will divert water from the existing Army Corps of Engineers Cannelton Locks and Dam through three 28-MW bulb turbines to generate an average gross annual output of about 458 million kilowatt-hours (kWh). The site will include an intake approach channel, a reinforced concrete powerhouse and a tailrace channel. A 1,000-ft-long 138-kV transmission line interconnection is planned to connect Cannelton to the Midwest Independent Transmission System Operator (MISO). 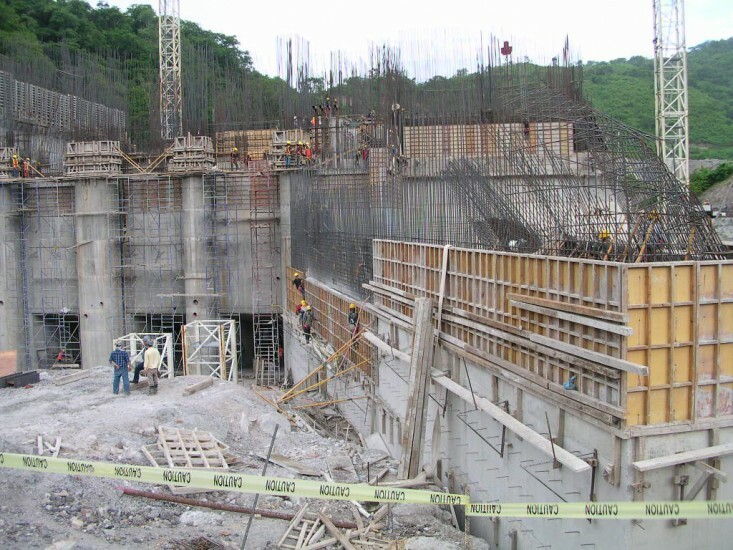 Once complete, the Cannelton hydroelectric plant will have a capacity of 84 MW and will provide base load power to 79 American Municipal Power member communities participating in the project. 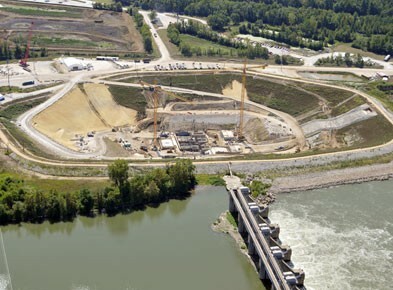 Cannelton is one of five run-of-river hydroelectric projects currently under development by AMP on the Ohio River. 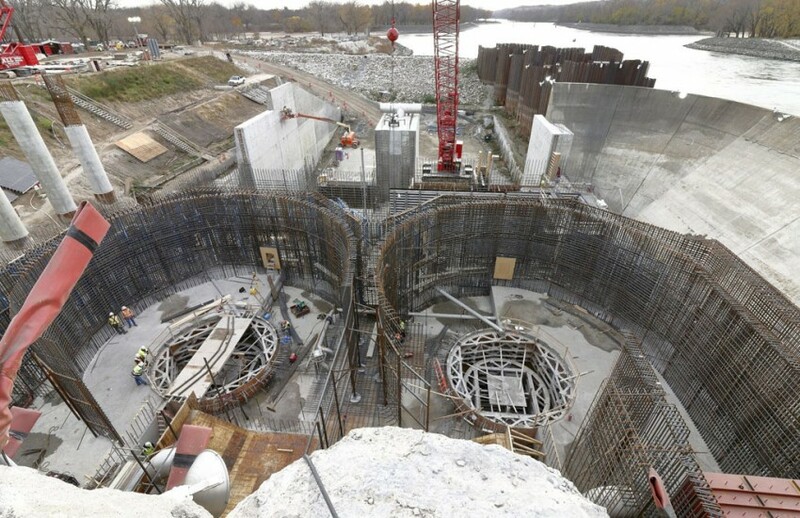 The Upstream Lock Monoliths Contract of the Kentucky Lock Addition Project will permit construction of all nine upstream concrete monoliths to the full 100-foot height. The existing 600-foot lock was put into operation in 1942. 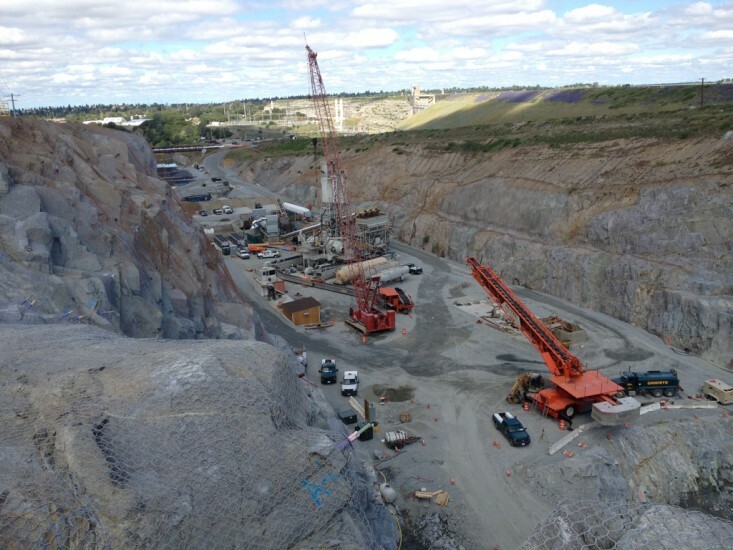 Thalle will be excavating soil and rock and placing about 130,000 cubic yards of concrete in constructing nine of the 61 monoliths that will ultimately complete the new 1200-foot lock. 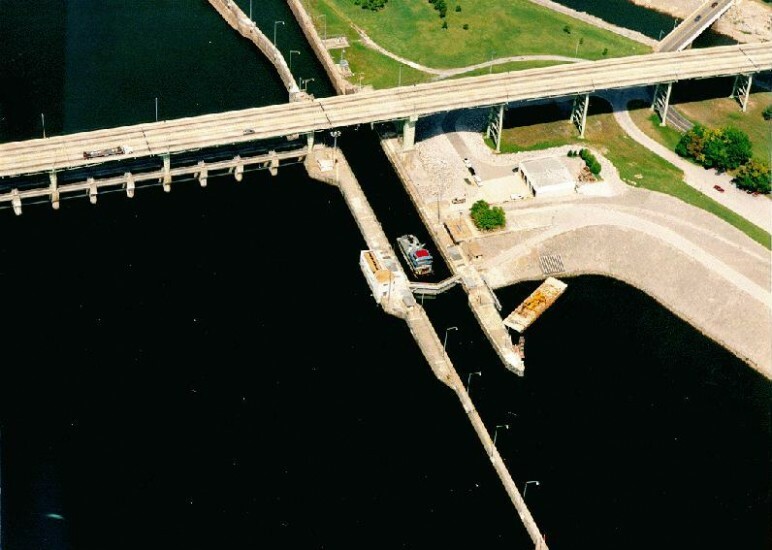 The new lock is needed to accommodate the many barge tows exceeding the capacity of the existing lock to increase vessel capacity and reduce costly waiting time for lockages. 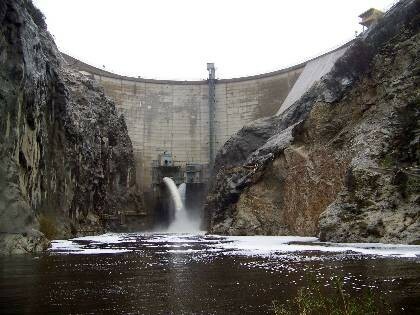 The seismic rehabilitation currently planned for the 77-year old dam will last three years and cost $88 million. 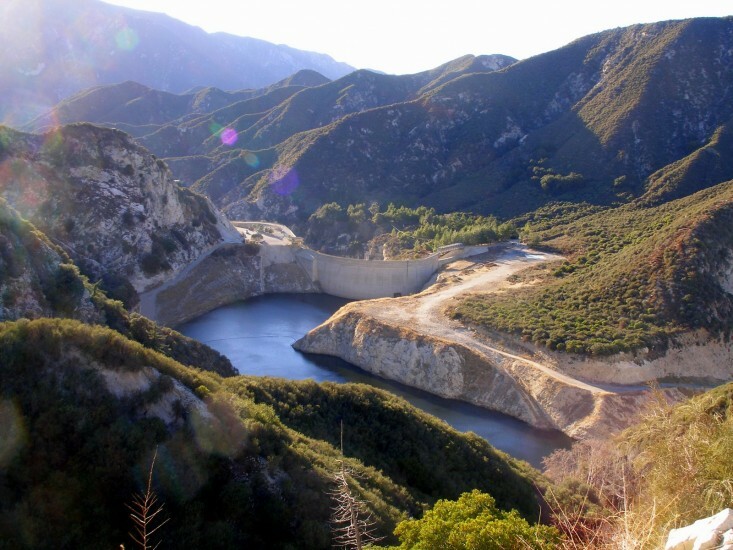 Big Tujunga Dam is 505 feet wide at the crest and 73 feet thick at the base. The new construction will double its thickness and enclose the elevator. Replacement of the deteriorating Chickamauga Lock will be a massive project that will require the excavation or dredging of approximately 123,000 cubic yards of substrate and the blasting and removal of approximately 181,000 cubic yards of rock.Construction of the lock will require almost 300,000 cubic yards of concrete, 31,1214 cubic yards of gravel fill, and a variety ofprecast beams, rebar, and other components. 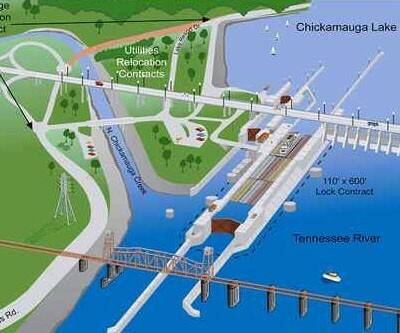 The proposed work consists of constructing a 110 x 600 foot or a75 x 400 foot lock at Chickamauga Dam. The proposed lock would belocated on the riverside of the existing lock and downstream ofthe existing dam. 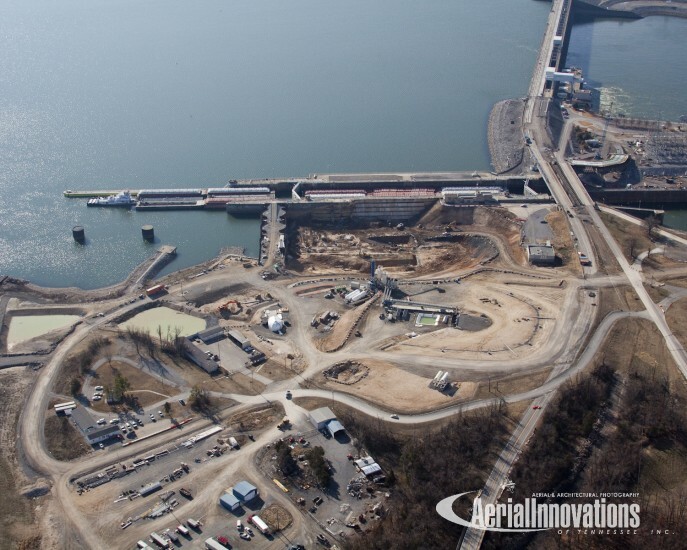 The new Charleroi Locks, with both lock chambers 84’ wide by 720’ long, are an essential component of the “two-for-three” replacement plan that will lower the downstream operating pool by 3.2’ after the removal of Locks and Dam 3. This pool lowering, driven by major structural problems at Locks and Dam 3, will result in major impacts to existing Locks 4. Major impacts to Lock 4 include differential loading on the lock walls increasing to unacceptable levels and water depths over the lock chamber sills and struts becoming lower than required. 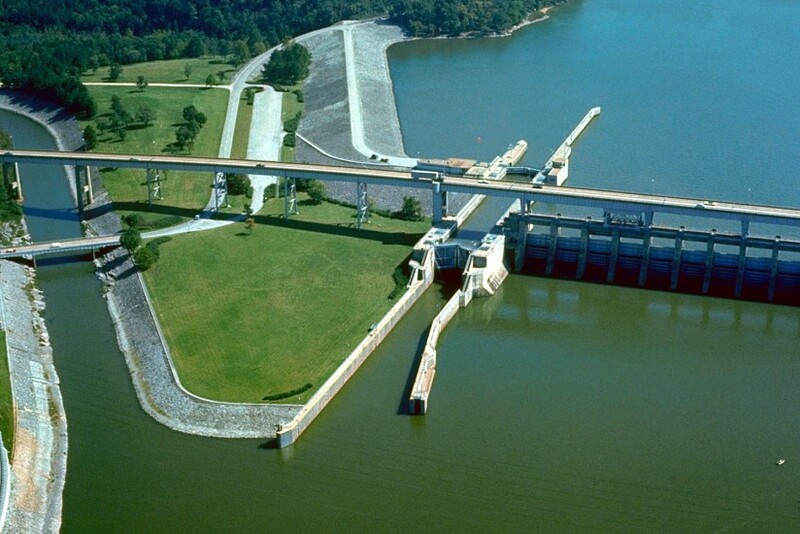 Saluda Dam is a 7,800 ft. long, 211 ft. high earthen dam built in the 1930’s. 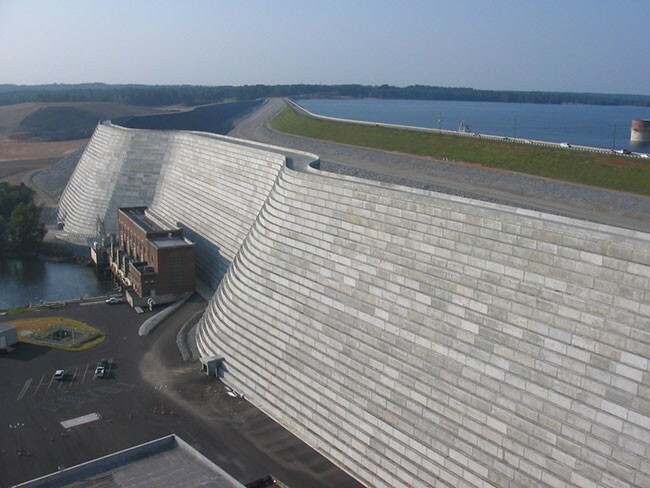 The Dam is located just upstream of Columbia, South Carolina, and impounds the Saluda River to form Lake Murray, a leading source of water, electric power, and recreation for the city of Columbia. 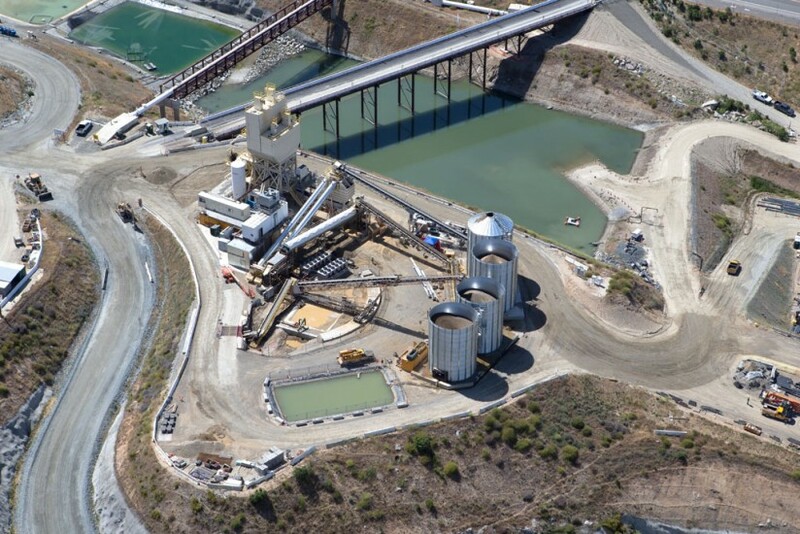 The construction project includes placement of 1.3 million cubic yards (2,300 ft. long) of roller-compacted concrete in the center of the dam in between the original dam and existing water/electric plants at the toe of the dam. 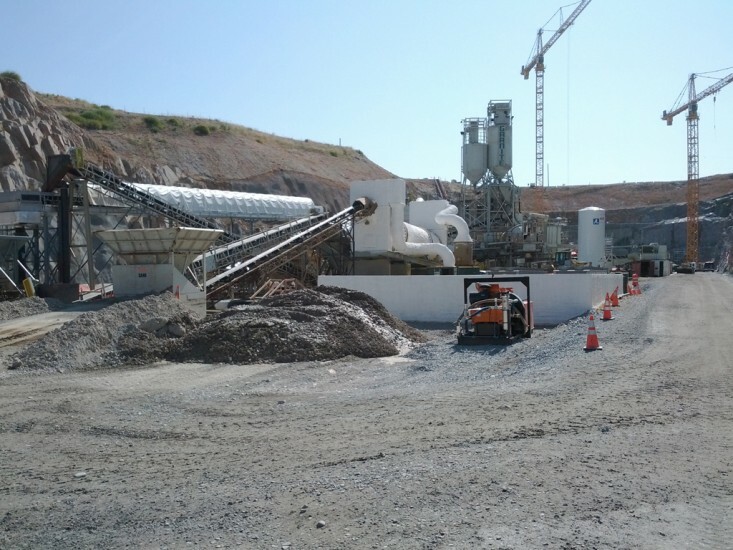 In addition, 3.5 million cubic yards of rock fill will be used to make up a 5,500 ft. long section of berm on the north and south ends of the dam. 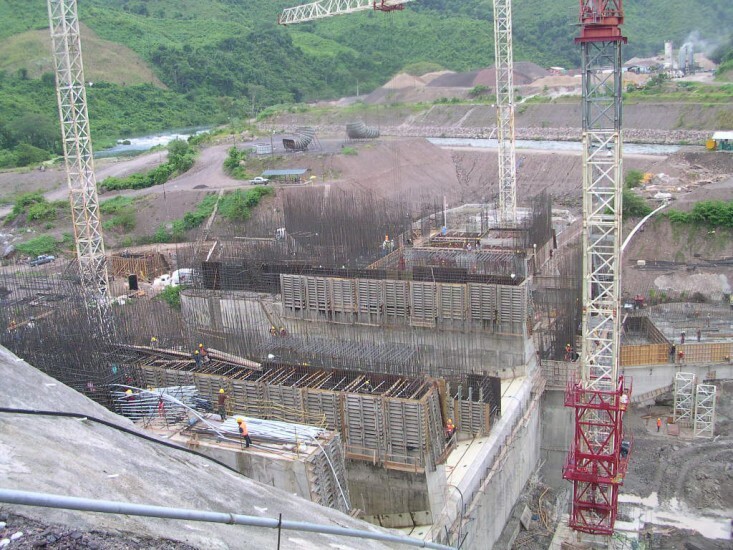 A large excavation will be created at the toe of the existing dam to provide a suitable foundation for the earth and concrete backup dam. Copyright © 2019 Coldcrete Inc. All rights reserved.